Get lost in the 80’s one more time with the Lost 80’s Live Tour. 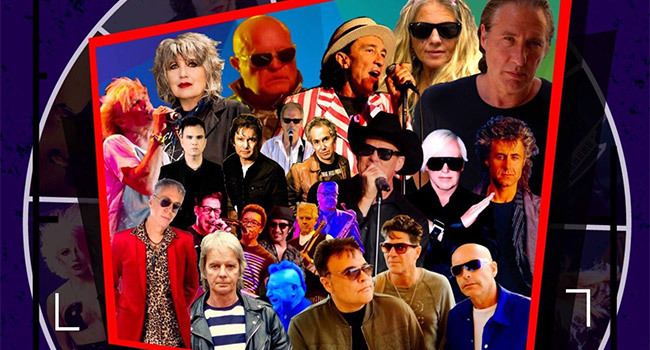 Bringing together some of the most recognizable acts from that great decade, Lost 80’s Live is the longest running retro tour where nostalgic fans can see a number of 80’s favorites performing live on one stage, on one epic night. Fans can expect to see artists such as Missing Persons, A Flock of Seagulls, Farrington & Mann original members of “When in Rome UK,” Boys Don’t Cry, and hear hit songs such as John Parr “St. Elmo’s Fire,” The Vapors “Turning Japanese,” Real Life “Send Me an Angel” and The Tubes “She’s a Beauty,” among many others. Bow Wow Wow & Wang Chung will also be performing at several shows over the course of the tour. The experience is timeless and has been described by fans nationwide as a “greatest hits show” where every song played could legitimately be on a number of greatest hits’ albums. Fans won’t want to miss what many believe is the “best of the 80’s.” The once-in-a-lifetime lineup comes together for a nostalgia-driven blast from the past and kicks off on August 2nd in Coney Island, NY. The official “Sweet 16th Anniversary” show will be a celebration to remember, taking place on September 7th in Las Vegas. Tickets available for pre-sale on Thursday, February 14th and on-sale to the public on Friday, February 15th via Ticketmaster. Get ready for a totally awesome flashback concert featuring all your beloved 80’s acts. The tour features performances by a revolving line-up of iconic 80’s artists so check your date for your exclusive concert going experience. A Flock of Seagulls, Farrington & Mann original members of “When in Rome UK,” Boys Don’t Cry, The Vapors, Real Life, & John Parr will be performing at all shows. More artists and shows to come as the full 30 city tour lineup is released. Lost 80’s Live was created 16 years ago by Rob Juarez of The Boss Booking Agency (TBBA) and is co-produced by TBBA, Jim Hanzalik of World One Presents and Jeff Epstein and Jeff Allen of Universal Attractions Agency (UAA). UAA brought us the international phenomenon and over one million ticket seller I Love the 90’s Tour featuring Salt n Pepa, Vanilla Ice and more. All dates, venues and lineups are subject to change.